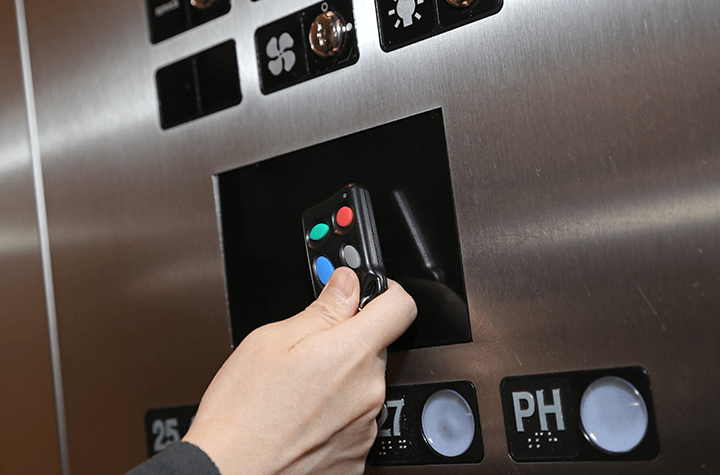 For many condo owners around the globe, the electronic key fobs that grant people entry to their buildings are of grave importance. When access to these trinket-like electronic devices gets into the hands of the wrong sort of person, it presents an enormous condo security concern. Right now in Toronto, thanks to George Laczko and his business FobCopy, duplicating a fob has become easier than ever. Located at Bloor and Sherbourne, FobCopy will copy one electronic key fob for $35, or two for $60. Supposedly Laczko and his employees demand proof that their customers are owners of the property they are copying a fob for, yet two CBC producers were able to use FobCopy's services despite bringing borrowed fobs to have cloned. Duplicating fobs through a condo building is typically a strict process. The existence of this sort of business supersedes that central control system and leaves residents vulnerable to wrongdoing in their buildings' common areas. Even Laczko concedes as much. "It's a new industry where I think the laws have to be hammered out. It's the wild west," he said. Complicating matters even further is the fact that Lazcko and two associates have already gained notoriety for allegedly hijacking the board of directors of multiple downtown Toronto condos. Though Laczko has said that he doesn't see it as a conflict of interest, property lawyer Denise Lash feels that it raises numerous red flags. "That's definitely a conflict and it's definitely a breach of [his] fiduciary duty, but it goes further than that. There's a real concern here as to why this is going on and how this impacts the safety and security of residents of the building," Lash said. Condo owners often pay good money for security guards and systems they believe are keeping outsiders away. If fob copying businesses like FobCopy continue to operate, those security measures may need to be updated on a large scale.